Dr. William Reichenstein, CFA, is an expert in Social Security strategies. First, when should individuals begin Social Security benefits? Second, how can we add value to client accounts using the tax code? Dr. Reichenstein holds the Powers Chair in Investment Management at Baylor University. He is Head of Research at Social Security Solutions, Inc, a firm that developed software to help individuals decide when to begin Social Security benefits www.ssanalyzer.com). Dr. Reichenstein is a widely quoted in the national press. He has published more than 160 articles and several books including In the Presence of Taxes: Applications of After-tax Asset Valuations, FPA Press (August 2008) and Social Security Strategies (2011) with William Meyer. Have Dr. William Reichenstein speak at your event! Dr. William Reichenstein is one of many experienced speakers and keynote presenters on a variety of topics for your retirement professional development group or event. Please contact us today via email or phone 847-686-0440 x102 if you would like to have Dr. William Reichenstein present at your conference or appear at one of your events, or to receive a free voucher to view a sample of one of our speaker’s work. 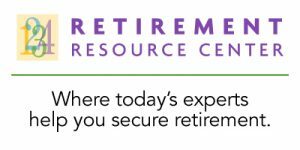 Find courses and products from Dr. William Reichenstein at the Retirement Resource Center.